PT Asuransi Indrapura - PT Indrapura Insurance is one of the oldest insurance companies in Indonesia, and in the past year has built impeccable business reputation for innovation, service and integrity. 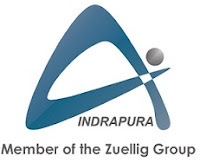 'Indrapura' has branch offices in major cities in Indonesia and offers a variety of types of property insurance products, transportation, hull, liability insurance and others. Now, 'Indrapura' work with 'Pacific Cross', which has a reputation and expertise in the field of international health insurance, has drafted interesting products within the scope of health and travel insurance specifically designed for the Indonesian market. The design of these products provide an extensive warranty, and terms and conditions are competitive and provide a shared commitment to customer service is more personal than 'Indrapura' and 'Pacific Cross'. Or hrd@indrapura.co.id. For detailed information, please refer official source on following link below.